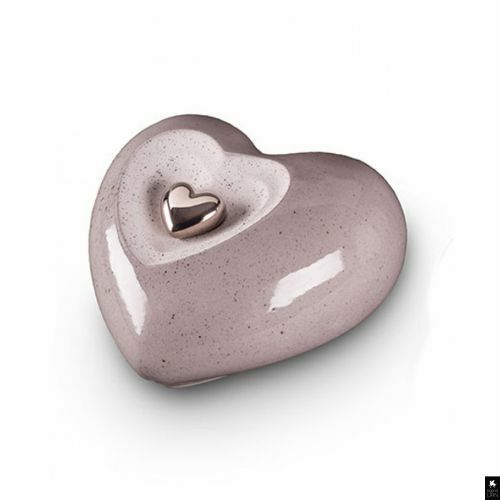 This ceramic glazed double heart urn is suitable to hold the full ashes of an adult. It measures 24cm with a capacity of 3.8 litres. The ashes are placed into the urn through an opening in the base. This can be permanently sealed using a sealant.